According to Muslim calendar, a day begins at the sunset of the previous day. InshAllah Ramadan 2018 will begin on Tuesday 15th May and will remain for 30 days until Thursday the 14th of June 2018 (Dates may vary). According to the Saudi embassy, millions of Muslim pilgrims travel for Umrah and Hajj every year, so as the policies changed by the time. GO-Makkah acknowledges the rules of the country and delivers the most appropriate services accordingly. What could be good then performing Umrah in Ramadan? Right? 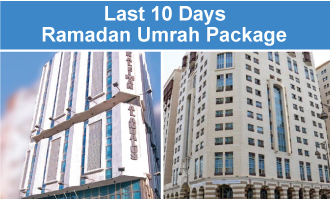 GO-Makkah has the perfect Ramadan Umrah 2018 packages to motivate British Muslims in the UK. Avail advantageous packages of all time at one place, book your most wanted packages today. 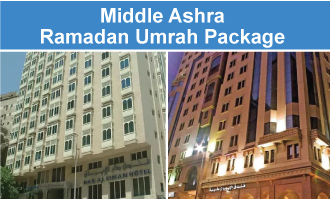 We are providing 5 star Luxury Ramadan Umrah packages 2018, 4 star Ramadan Umrah packages 2018 as well as 3 stars Low cost Ramadan Umrah Packages. You can Book your Umrah Ramadan Package for 2018 with Go Makkah today or 14 days prior to your departure, easy booking and payment process. Experience the richness of the Holy Cities, Saudi Arabia Go Makkah has been privileged to take pilgrims towards the Holy cities of Makkah and Medina, with such amazing Ramadan packages 2018, high-ranking flights and hotels of your choice. We facilitate our clients with our years of experience. Through which we have learned to cater you in all possible ways that could make a properly managed experience while traveling with us. The climate is at its best, Makkah where the most pilgrims pass every day on their way to Haram, where you can buy almost everything you need whether it is a prayer carpet or its sandwiches and juices you want. Nearby, Medina, there are so many shops where you can buy praying mat if you forgot to bring one or tasbeeh going towards Masjid-e-Nabvi. Let us rejoice your moments with the quality services, from experts. 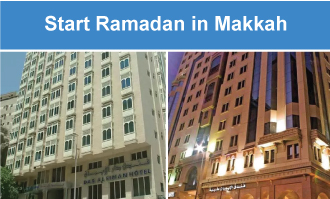 Go Makkah has a vast range of packages for Ramadan 2018, you can call us 020 7734 6070 or email us info@go-makkah.co.uk.